What are World-Class Productivity and World-Class Quality? 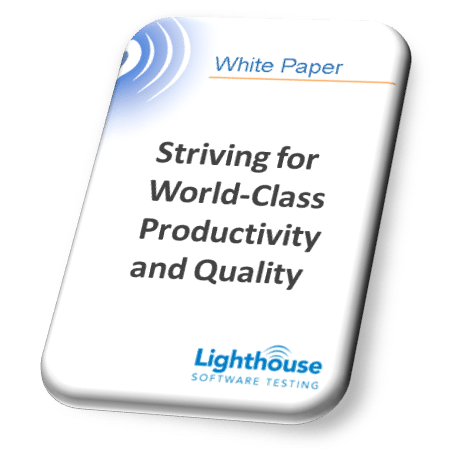 How does Lighthouse achieve World-Class Productivity and World-Class Quality? Why is it important to achieve? Should an organization build up to a world-class level internally, or should it outsource to a world-class organization? How much investment is necessary? Fill out the form to get your FREE copy of our White Paper: Striving for World-Class Productivity and Quality.